Christopher Costello, Steven D. Gaines, and John Lynham find that fisheries with individual fisherman's quotas are less susceptible to overfishing: Privatization prevents collapse of fish stocks, global analysis shows. The actual title of the article in Science is "Can Catch Shares Prevent Fisheries Collapse?" I haven't found a link to the original article or an earlier working paper yet. The "privatization" here is the assignment to a right to a share in the seasonal or annual harvest. A fisherman with an individual and transferable quota has an asset whose value depends on the long-term health of the fish stock, and a greater incentive to care about that stock. Although bioeconomic theory suggests that assigning secure rights to fishermen may align incentives and lead to significantly enhanced biological and economic performance, evidence to date has been only case- or region-specific. By examining 11,135 global fisheries, we found a strong link: By 2003, the fraction of ITQ-managed fisheries that were collapsed was about half that of non-ITQ fisheries. This result probably underestimates ITQ benefits, because most ITQ fisheries are young. The results of this analysis suggest that well designed catch shares may prevent fishery collapse across diverse taxa and ecosystems. Although the global rate of catch-share adoption has increased since 1970, the fraction of fisheries managed with catch shares is still small. We can estimate their potential impact ifwe project rightsbased management onto all of the world’s fisheries since 1970 (Fig. 2). The percent collapsed is reduced to just 9% by 2003; this fraction remains steady thereafter. This figure is a marked reversal of the previous projections. Despite the dramatic impact catch shares have had on fishery collapse, these results should not be taken as a carte blanche endorsement. First, we have restricted attention to one class of catch shares (ITQs). Second, only by appropriately matching institutional reform with ecological, economic, and social characteristics can maximal benefits be achieved. Nevertheless, these findings suggest that as catch shares are increasingly implemented globally, fish stocks, and the profits from harvesting them, have the potential to recover substantially. The Environmental Defense Fund reports here: Catch Shares Key to Reviving Fisheries. New Study Shows Innovative Approach Can Help Solve Overfishing. Here's Costello's website with background information on the study: Can Catch Shares Prevent Fisheries Collapse? Revised Sept 19 to add a comment about how individual quotas give fishermen a greater interest in the long-term health of the fish stock. One of the best things we can to do hearten our friends, dismay our enemies, conserve energy, and enhance our national security, is increase taxes on gasoline consumption. If we want to reduce our dependence on oil we need to face up to its true costs. Greg Mankiw would like to see a tax of $1/gallon on gasoline, phased in over ten years at a dime a year. He explains why, here: The Pigou Club Manifesto (October 20). Now House Energy and Commerce Committee Chairman John Dingell is about to propose a carbon tax, that would increase the tax on gas by $0.50. (Dingell to propose 50 cent gasoline tax increase , Chris Good, The Hill, July 7) I'll look forward to learning more about the details. But this sounds smart to me. I'd prefer Mankiw's higher tax, but Dingell's proposal may be a good. There should be some offsetting income tax break addressed to lower income tax payers, to relieve some of the burden for them. Andrew Samwick took a trip to Hawaii with his family recently; he estimates his family's annual fuel consumption associated with the trip, and draws conclusons for energy taxation: Getting There Was More than Half the ... (Vox Baby, July 7). h/t to Mankiw: A saboteur joins the club (July8). If something is too good to be true, it probably isn't. Is Chinese pollution killing fewer persons per capita than EU pollution? Good news for bon vivants! Bridges Trade BioRes reports, "BELUGA CAVIAR BACK ON THE MARKET"
Stastny notes a literature pointing to additional applications of the model in political economy. At the University of Florida: Vampires a Mathematical Impossibility, Scientist Says (based on an alternative predator-prey model). What did happen on Easter Island? Texts on fisheries and ecosystem management typically begin with discussions about the objectives of management. It is easy to say that the objectives of modern fisheries management should be to ensure sustainable harvests, viable fishing communities, and healthy ecosystems, i.e., to sustain a mix of production, economic, and ecological values. Unfortunately, such platitudes are of little value in guiding either management or science, because there can be conflicts among the component objectives. A more useful statement of objectives for scientists and managers would be to say that the central objective of modern fisheries science should be to clearly expose trade-offs among conflicting objectives, and the central objective of modern fisheries management should be to develop effective ways to decide where to operate along the trade-offs, and how to operate successfully..."
They elaborate on four trade-offs: harvest now versus harvest later, ecosystem diversity versus ecosystem productivity, efficiency versus jobs, and the allocation of fishery management resources among different activities. ...If we set up multiple fisheries in ecosystem models, then search for an "optimum" mix of fishing efforts to maximize some simple economic objective like total profit from the ecosystem...we find that this optimum mix often involves an ecosystem-scale "farming" strategy...That is, the optimization tells us to use some of the fisheries to deliberately overexploit (control/cull) the competitors/predators of a few most valued species, so as to direct as much ecosystem production as possible through these species. This is, of course, exactly what people do in modern farming, through cultivation and pest-control practices. Almost every fisheries scientist who has seen such results has reacted with disgust and has turned to alternative objective functions that represent both broader values (existence as well as catch values) and also the "risk-spreading" value of maintaining a diversified "portfolio" of productive populations. But the simple fact is that we do not have strong, objective evidence from past fisheries experience to demonstrate that it would ultimately be destructive to engage in ecosystem-scale farming, i.e., to move a long ways along a trade-off relationship between natural diversity and the total economic value of fish production. 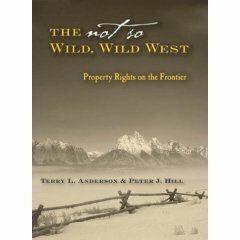 Terry Anderson and Peter Hill (in their new book on property rights in the 19th Century American West, The Not So Wild, Wild West: Property Rights on the Frontier ) suggest that this is what happened in the American West, when cattle replaced buffalo. All in all, perhaps the history of the American bison was close to economically optimal. They were magnificent animals that populated much of the Great Plains, and they formed an economic resource that supported Indians and early settlers. 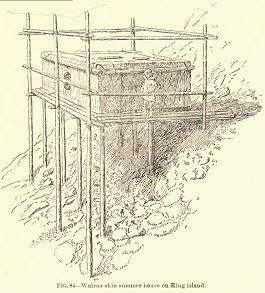 They were exploited rapidly by both the robe trade and the hide (leather) trade, perhaps more rapidly than private rights would have allowed. Nevertheless, it is likely that, given the low economic value of buffalo and the fact that they were primarily valuable as an amenity resource, the appropriate degree of preservation occurred. The extirpation of the buffalo was so rapid that it even caught the hunters by surprise. Curiously enough, not even the buffalo hunters themselves were at the time aware of the fact that the end of the hunting season of 1882-83 was also the end of the buffalo, at least as an inhabitant of the plains and as a source of revenue. In the autumn of 1883, they nearly all outfitted as usual, often at the expense of many hundreds of dollars, and blithely sought "the range" that up to that time had been so prolific in robes. The end was in nearly every case the same - total failure and bankruptcy. it was indeed hard to believe that not only the millions, but also the thousands, had actually gone, and forever. I wonder why the collapse was so unexpected? Walters and Martell point out that with many species of fish, catch per unit of effort can remain high, while the overall population is declining. The remaining fish group together within ever smaller geographical areas, and the fishermen target on these, rather than continuing to search empty water. As a result, catch-per-unit-of-effort may stay high until close to the end, and be a poor indicator of a declining stock. Did something like this happen to the buffalo? How is fisheries policy made? 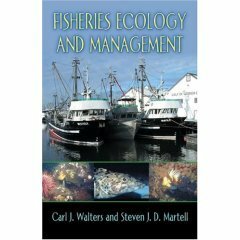 Carl Walters and Steven Martell of the University of British Columbia have a new text on Fisheries Ecology and Management. ...In many cases there is not even a clearly defined forum in which trade-off relationships can be presented to all who consider themselves stakeholders, so that debate might lead to some consensus about the best balance. Rather, these trade-off issues are debated in multiple jurisdictions, using multiple routes to access political decision-makers, and with scientific exaggeration and misinformation used routinely as debating tools. Urban lighting makes it harder to see the stars. This makes it a concern to star gazers and amateur and professional astronomers. The International Dark-Sky Association tries to publicize the problem and promote solutions. The Italian Light Pollution Science and Technology Institute has another useful set of resource pages. Click here for the Institute's "World Atlas of the Artificial Night Sky Brightness." But ecologists are also becoming concerned. Ben Harder points to some of the research in the story "Degraded Darkness" in the most recent issue of Conservation in Practice (a publication of the Society for Conservation Biology). Lots of species behave different in the light and the dark, or change their behavior when lights are on after dark. Moore [a Wellesley College scientist - Ben] suspects that artificial illumination alters aquatic ecosystems from the smallest organisms on up. The implications are far reaching and could ultimately link light pollution to water quality. Minute zooplankton lurk well below the surface during the day to avoid predators, then rise to graze on algae at night. But artificial light discourages them from venturing toward the surface. "If their grazing is inhibited . . . effects will cascade up the food chain," Moore says. Algae populations could explode in response to reduced predation, and those blooms would deplete dissolved oxygen critical to fish, crowd out other photosyn-thesizers, and cast unwanted daytime shade on submerged aquatic vegetation that provides habitat for juvenile fish..."
An interesting article available on the web. (materials from a conference on the ecological impacts of artificial lighting can be found at the web page of the Urban Wildlands Group). Ecology's systemic impacts and associated unanticipated consequences bring to mind the interactions between markets we study in economics. The Scientific American recently had a neat article on the impacts of reintroducing wolves into the Yellowstone National Park: "Lessons from the Wolf" Evidently, the reintroduction of wolves reduced elk populations, fewer elk browsed on willow trees, willow populations in stream bottoms rebounded, stream banks were stabilized, beaver populations grew by exploiting the willow for food and construction material, and trout habitat improved. Wolves outcompeted coyote populations, reducing coyote numbers and increasing the population sizes of coyote prey (voles, mice, etc.). "Between the idea and the reality, between the motion and the act, fall the environmental, cost-benefit, and small entity analyses." T.S. Eliot didn't write exactly that ("falls the shadow"), but it applies to federal regulation. Various statutes and executive orders require environmental analysis, cost-benefit analysis, economic analysis of the impacts of a regulation on small businesses, governments, and non-profits, and more, before a good (or bad) idea can become regulatory reality. Most of these requirements are informational: a regulation isn't generally precluded because it may fail a cost-benefit analysis, or have an adverse impact on small entities. These statutes and orders are an attempt to deal with a principal-agent problem. Civil servants focus on a problem defined by their agency mission. Highway administrators want to build highways - they believe in highways, and their constituency groups also want highways. But the public has a wider range of interests. They want to build highways, but they want to protect the environment as well, and they want to provide opportunities for small businesses. These analysis requirements attempt to force agencies to face some of these other, broader issues. The lineage of the cost-benefit requirement can be traced back to the Nixon Administration. It took its modern form early in the first Reagan administration in Executive Order 12291. This served through the Reagan and Bush administrations and was superseded by E.O. 12866 early in the Clinton administration. Despite Reagan-era liberal concerns that cost-benefit analysis was simply a tool to prevent needed social and environmental regulation, the Clinton administration continued the practice. The new Bush administration has not replaced E.O. 12866 - it did introduce new guidelines for 12866 analysis last fall. Does the cost benefit requirement do any good? Winston Harrington and Richard Morgenstern ("Evaluating Regulatory Impact Analyses") survey the literature on the different ways of approaching this question. This survey was prepared for an Organization for Economic Cooperation and Development (OECD) conference on evaluation of regulation last fall. Are the analyses done well (presumably a bad analysis won't accomplish much good)? Do they have the basic things you should find in a good analysis (a selection of alternatives, an executive summary? This is an "extensive content test.") Do they not only have the requisite parts, but are the parts well done? ("intensive content test"). Are their predictions borne out? (an "outcome test"). Do they make a difference in the nature of the regulatory process outcomes? (a "function test"). More to the point, do they improve the functioning of the regulatory process? (a more demanding version of the function test). Richard Hahn and Patrick Dudley do an "intensive content" test in this recent AEI-Brookings Joint Center for Regulatory Studies report, "How Well Does the Government Do Cost-Benefit Analysis?". They review 55 EPA studies from 1982 to 1999 to see to what extent they include the basic elements of a good analysis. Hahn and Dudley focus on analyses of economically significant regulations - those with costs or benefits over $100 million a year. Not all studies included estimates of total costs; costs to industry were reported more often than costs to federal and state governments. Benefit estimates were not presented as systematically as cost estimates; benefits were less likely to be monetized. The percent of analyses including at least one alternative dropped from 89% in the Reagan administration, to 74% in the Clinton administration. It was uncommon to calculate net benefits or cost effectiveness for alternatives. A useful 79-point checklist in the appendix shows the elements Hahn and Dudley would like to have seen in these analyses. Harrington, Morgenstern and Nelson performed an "outcome" test in the RFF discussion paper "On the Accuracy of Regulatory Cost Estimates." This is a nice article - I posted on it in October 2002 in "Do government economists make mistakes?". Harrington and Morgenstern survey literature on "function testing." They note that an examination of individual documents for the presence of alternatives suggests that the document was meant for use in designing the regulation. Absence of alternatives (or alternatives that are obviously strawmen) suggests not. Statistical studies relating the characteristics of analyses to regulatory outcomes may also be helpful. Do the regulations differ systematically with characteristics of the regulatory analysis? This may suggest that one affects the other, although whether for better or worse may be unclear. Harrington and Morgenstern point to two studies. One found that higher quality analysis was associated with more stringent (although not necessarily better) environmental regulation. A second found that analysis "had at best a slight effect on cost-effectiveness." 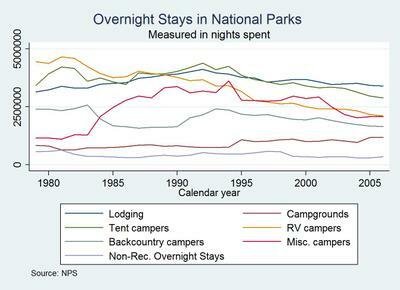 "...the critical importance of timing to the usefulness of RIAs [cost-benefit analyses - Ben]. Several case-study authors mentioned the fact that many RIAs are not initiated until after the regulatory process is well under way, often after the preferred alternative has been selected...In this situation, the usefulness of the RIA is obviously undermined. Worse, it puts pressure on the analyst not to deliver bad news about benefits and costs, especially abut the preferred alternative, leading to cynicism about the role of RIAs in the regulatory process. Most analysts believe the RIA should begin before the regulatory process begins, in order to develop information useful in decisionmakng." 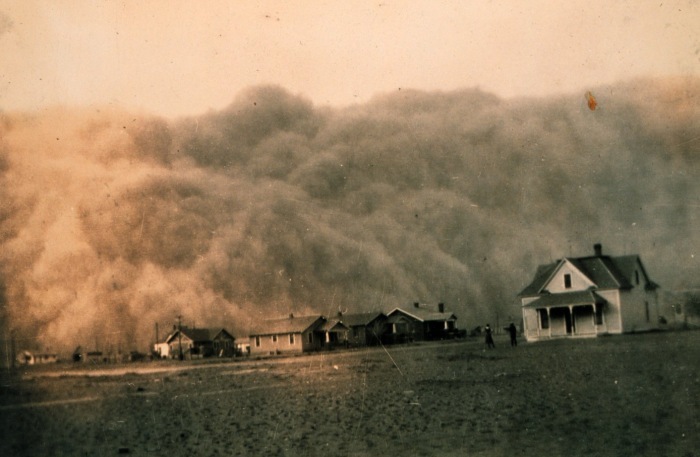 What Caused the Dust Bowl of the 1930s? Severe drought produced the "Dust Bowl" in the 1930s; similar droughts in the 1950s and 1970s were not as destructive. Why?